Ooh la la. The best ever French helper. Make your own sticker word album. Do you like looking at pictures of your favourite things? Would you like to learn the French words for things like zoo, forest, classroom, supermarket, yummy foods and cute animals? 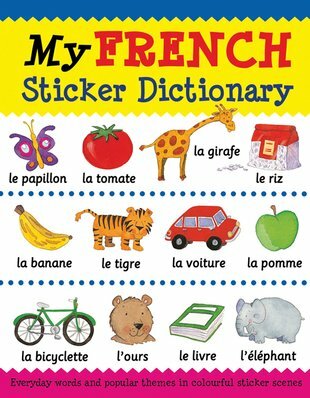 Then you can’t do better than this sticker book of over 50 French words to learn and repeat. Match each word to its own colourful sticker. Then keep your finished album on the shelf to look at whenever you need a reminder.